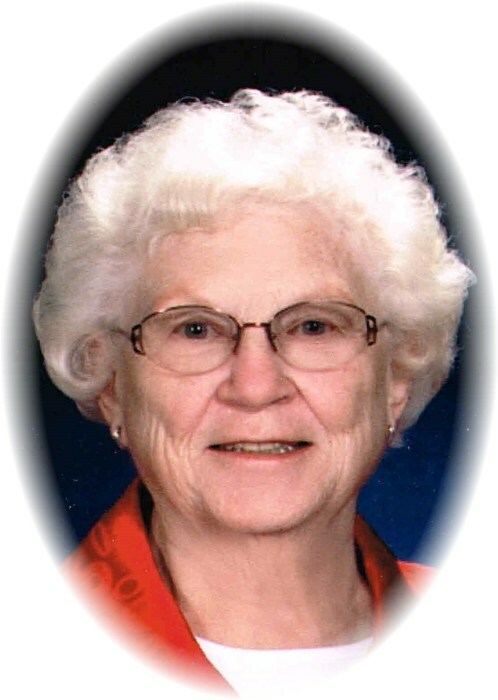 Dorothy H. "Dot" Copeland, age 90, of 9115 Autumn Road S.W., Bowerston (New Hagerstown), Ohio, died Friday, May 4, 2018 in the Akron General Medical Center. A life resident of the area, she was born August 29, 1927 in Bowerston, Ohio and was the daughter of the late Joseph Earl and Jennie Garrett Huff. In addition to her parents, she was preceded in death by two sisters, Betty Thompson and JoAnn "Jody" Hall, and a great-nephew, Brent M. Copeland. Dot retired in 1994 as a bookkeeper for the Bowerston Shale Company, a position she held for 44 years. She was a life member of the First United Methodist Church in Bowerston. She was a 1945 graduate of the former Bowerston High School and attended the former Canton Actual Business College. She has been a member of the Carroll County Chapter #315 of the Order of Eastern Star since she joined in 1949. Dot appreciated any opportunity to go shopping and she and her husband Dean traveled extensively, having visited 46 of the 50 states. She also loved to cook, and was known for her specialty, grape salad. A loving wife and caring aunt, she will be missed by her family, neighbors and many friends. She is survived by her husband H. Dean Copeland, whom she married November 1, 1962 in McConnellsville, Ohio, four nephews and their families Jeffrey L. (Tammy L.) Copeland of Bowerston, Jim (Tricia) Copeland of Dennison, OH, Lynn Thompson and Larry Thompson, both of North Royalton, OH, and a very special lifelong friend, Nancy Berg of Bowerston. Funeral services will be conducted 1:00 P.M. Tuesday, May 8, 2018 in the Baxter-Gardner Funeral Home at Sherrodsville with Rev. Tom Dawson officiating. Interment will follow in the Longview Cemetery at Bowerston. Calling hours will be held Tuesday from 11:00 A.M. until time of services at 1:00 P.M. in the funeral home. Contributions in Dorothy's memory may be made to the Bowerston First United Methodist Church, C/O P.O. Box #31, Bowerston, Ohio 44695-0031. To leave an online condolence message please visit the funeral home website.